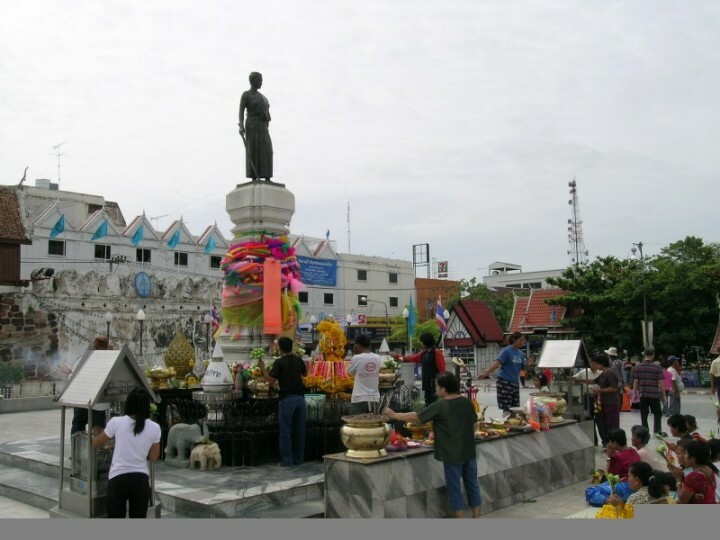 Thao Suranaree, by Korat folks lovingly called "Yamo", is the Jeanne d'Arc Thailand's. Under her guidance a Laotian invasion was repelled. The statue is Korat's major tourist attraction for Thais. Yamo is said to fulfill wishes of her worshippers doing miracles. The monument is right in the center of town. Shops, markets and cultural buildings are to all sides of it. There is also a park, which of course isn't frequented too much due to the high temperatures outside. Only in the evening the area known as Suan Rak Park (Love Garden Park) becomes busy with girls offering services.